To see my Biosketch, please click here. 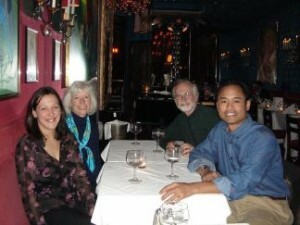 At Chez Josephine in NYC, with Dr. Russell Gardner, his wife Susie, and my lovely wife Anne, in town for the Group for the Advancement of Psychiatry (GAP) (circa 2005). Before becoming a medical doctor, my first interest was to become an engineer. As a child, I was aware that engineers built stuff, and used math and science as their tools. So I focused my middle school and high school experiences around math and science courses, to the detriment of other subjects I deemed less important at the time, such as typing courses, English literature, and foreign languages. Only later did I realize how important communication was in all jobs and professions, and the ability to disseminate knowledge is as important as acquiring it. Presentations, interpersonal communications, written communications…these were all important skills for one to succeed in a career. So as a typical engineer-to-be nerd, all I took in high school were the “hard” sciences like chemistry and physics, and advanced math courses like calculus. 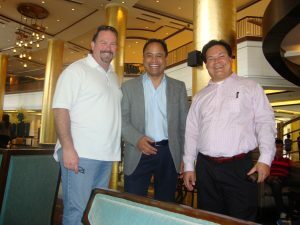 My mentor growing up was an older friend, Joey Santiago, whom I looked up to like a big brother. As a child and in my adolescent years, I saw Joey often, as our parents were close friends, and our families spent much time together. Joey was my idol at the time, as he was this high-achieving and popular student from Ellison High School who went on to enroll at Texas A&M University as an aerospace engineering major. Even when Joey went away to college, he kept close tabs on me, and nurtured my interest in engineering. When it came time to pick colleges, I didn’t have to look far, as Central Texas had two of the best engineering schools in the nation…Texas A&M University in College Station, and the University of Texas at Austin. Joey, of course, tried to convince me to enrol at Texas A&M, and I even visited him there a few times and was quite familiar with the campus. However, I ended up enrolling at UT, as I was impressed by their resources and also loved the idea of living in Austin. Joey and I kept in touch, even though we were attending rival schools, who intensely hated each other with a passion. Joey went on to become a hot-shot engineer at NASA…I was very proud of him, and I had the privilege of being his friend. In fact, he was instrumental in helping me stay focused, and he guided me in completing high school and university. Every young person should have such a mentor, championing their cause. I was lucky. 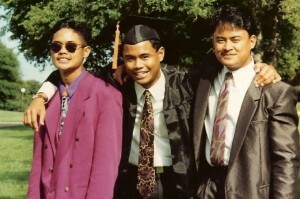 Graduation from UT-Austin engineering school, with my two younger brothers, Norman on the left, and Nathan on the right (circa 1992). At UT, I enrolled in the chemical engineering undergraduate program. During the first week of freshman orientation, I ran into a childhood friend, Lynn Cacapit, who was also attending UT as a freshman. She asked me what I was majoring in, and I told her engineering. Then the words flowed from out of her mouth, and I still remember it, we were standing on the steps outside the front entrance of Jester dormitory…“you’re smart, why don’t you go premed?” On the spot, without much consideration, I told her “ya, why not?” So the rest is history. I immediately went to a guidance counsellor, and found out that my chemical engineering courses already included most of the requirements for premed, and hence the requirements for getting into medical school. I just added a couple of biology courses, and I was on my way to both finishing my chemical engineering degree and completing the requirements for getting into med school. At UT, I found the engineering courses to be very difficult, so I had to study in groups with other engineering students to solve the problems that our professors gave us. While participating in these groups, I developed close relationships with friends that I still have today…Uzay Yasar, Vikas Dwivedi, Joe Cruz, Charles Ho, and Greg Johnson. We were inseparable at UT, especially with Uzay, as Uzay and I were both ChemE and premed majors. Uzay and I would study extra hard, as not only did we have to complete our engineering projects, we had to study for the MCATs, the entrance exam for getting into med school. So Uzay and I pretty much lived with each other. With hard work and perseverance, we both got accepted to med school. Graduated from UTMB med school, newly minted doctor, age 26 (circa 1996). So off I went to the University of Texas Medical Branch School of Medicine in Galveston. In med school, it was entirely different than engineering school. Instead of solving problems in engineering, med school consisted of memorizing endless amounts of medical knowledge. So I had to change gears, away from conceptual learning, to just plain rote memorization of medical facts to pass the tests. I was losing interest in medicine, given the monotony of rote memorization, and wondering if I had made the right choice to leave engineering. Fortunately, during my clinical clerkships in my 3rd year, I went through my psychiatry rotation and was placed on the service of Dr. Russell Gardner, who eventually took me under his wing, and nurtured my interest in psychiatry. How does a life-long engineering nerd end up in psychiatry? Well, the answer is simple…I like people and fascinated by the way people inter-relate, think, and behave. So psychiatry was a natural fit, and my science, math and engineering background would serve me well in my eventual career as a psychiatric researcher. I decided to stay at UTMB Hospitals for my general adult residency, in large part because Dr. Gardner was at UTMB, and wanted to learn more from him. Psychiatry residency was exciting, and each month, I gained more and more confidence with each patient I saw. Eventually, I decided to get more training in child and adolescent psychiatry, so I did a fellowship at Maine Medical Center in Portland. After fellowship, I stayed on at Maine Medical Center as a staff psychiatrist, and also help a faculty position with the University of Vermont College of Medicine. Eventually, I was recruited to take a faculty position at Dalhousie University Department of Psychiatry in Halifax, Nova Scotia, Canada, where I taught and conducted research studies. 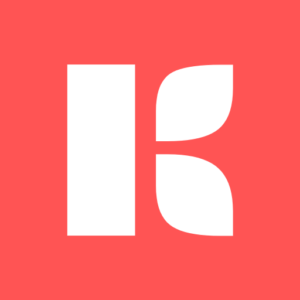 I was also concurrently recruited to do clinical work at the IWK Health Centre, also in Halifax. Dr. Carandang preparing for meeting with researchers from the University of the Philippines- Manila (February 2014). The ability to disseminate knowledge is as important as acquiring it. I have changed my career path, and now upskilling to become a Data Scientist. I was accepted to grad school, and will start my Master of Science in Computing and Data Analytics Program this Fall. As a Data Scientist, I will continue to utilize my domain expertise in psychiatry, medicine, and the oil and gas industry, while acquiring core skills in machine learning, deep learning, and programming.